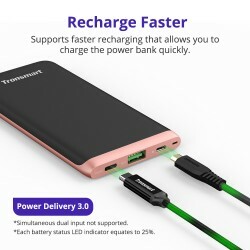 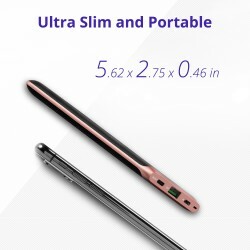 Ultra Slim 10000mAh External Battery With Latest USB Power Delivery Technology, Pocket Friendly Power Bank, Perfectly designed for Smartphones, including iPhone Xs, iPhone Xs Max & iPhone XR, and other mobile devices, i.e. 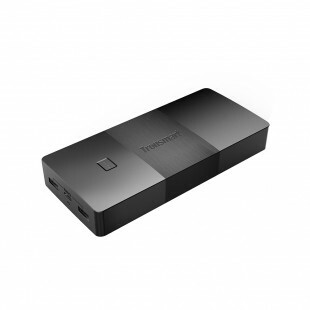 Tablets, Cameras, GoPros, Portable Fans, Portable Speakers, etc. 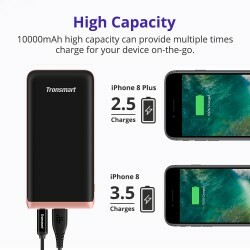 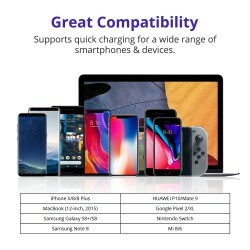 10000mAh high capacity can provide multiple times charge for your device on-the-go (2.5 charges for iPhone 8 Plus, 3.5 charges for iPhone 8). 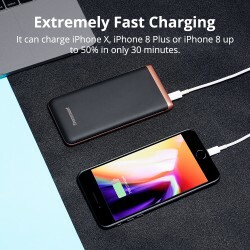 USB-C fast charging speeds send up to 18W of power to your phone, tablet, or other devices. 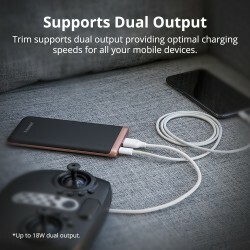 Additional USB-A port support quick charge 3.0 and voltiq, allows you to charge a second power-hungry device simultaneously. 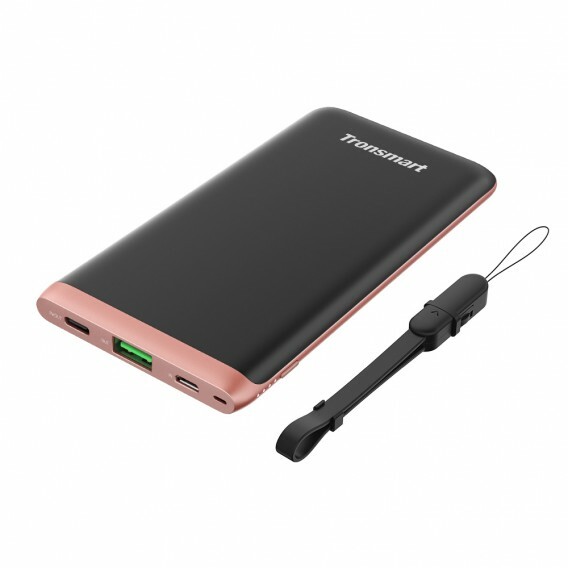 Supports faster recharging that allows you to charge the power bank quickly (simultaneous dual input not supported). 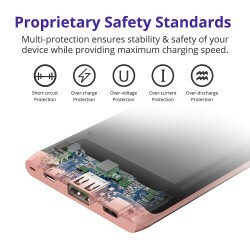 Multi-protection ensures stability & safety of your device while providing maximum charging speed. Compact and portable size, easy to carry.